As well as Mizuno, JWhitaker Golf custom fit for all major suppliers such as Taylormade, Titleist, Callaway, Ping and Srixon. We have access to specialized shafts to suit every swing, strength and ability. Our skilled custom fitter will explain each shaft we test and how they affect your shot. Your shots with all test clubs will be analysed with the Trackman radar system. Trackman offers THE most accurate data available to golfers on all aspects of their swing, so you can have confidence in your choice of golf club at the end of your session. 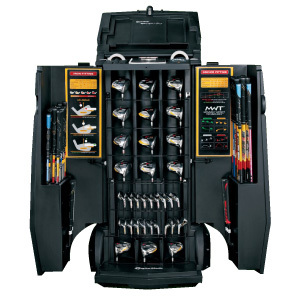 The Club fitting carts are unique to each different manufacturer hosting their complete range of clubs. In each cart, there are the different options for all of the Custom Fit components. They have all of the different head and shaft options, shaft lengths and grip sizes. These carts really make Custom Fitting the unique and ideal experience for any standard of golfer ensuring you get the right clubs for you. 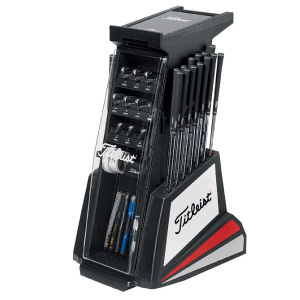 Our Titleist SureFit Cart has almost 500 different combinations of clubs to provide many choices of head models, lofts, and shafts to provide a thorough fitting experience. With multiple interchangeable heads and shafts, the SureFit systems offer numerous Titleist club combinations to optimise performance for the serious golfer. 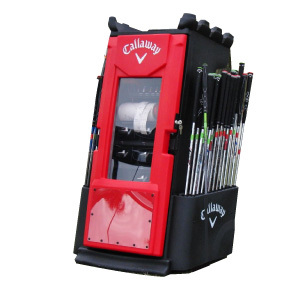 Using our Callaway Golf Opti-Fit Fitting Cart, we can match the best equipment to your current swing from the huge amount of shaft and head combinations available. This means we can help deliver greater accuracy, increased distance and improved ball flight, all with the aim of lowering your scores and enhancing your enjoyment of the game. Our TaylorMade SelectFit System allows golfers to test hundreds of technology combinations. Originally developed by TaylorMade's R&D department for rapidly attaching driver and iron heads to demo shafts, as SelectFit Technicians, we have more than 186 metalwood and shaft combinations, and more than 258 iron combinations available for you to demo. We can instantly change out components during your fitting to find the right combination to maximize your performance. PING’s fitting programs are a continuation of Karsten Solheim’s pioneering work in custom fitting. Using a variety of tools, including interchangeable drivers and irons offered in the Advanced Fitting System, ensures your clubs match your individual needs. 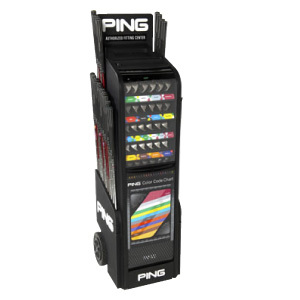 PING’s Fitting Cart can make sure every club in your bag is custom fit to suit your game. 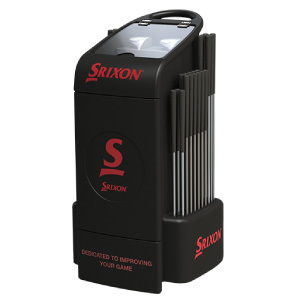 Using our state of the art Srixon Golf fitting cart, we’ll help match your perfect shaft with the ideal custom grip and correct head combination delivering ultimate performance and game improvements for players at every level of the game. Normally clubs take 14 working days to arrive after ordering. Our team at your local Golf Custom Fit Centre will keep you fully up to date of their arrival date. All clubs will be built in the suppliers’ factories and staff at JWhitaker Golf will carefully check your order on arrival at the store.